The hunt for Chia seeds. I know you can order them online, but I was looking for a local place where I could pick thm up in town to keep it simple for me. I have been reading about them online a lot on how high in fiber they are and how healthy it is to eat them. I finally made it over to the Mountain View Market here in Las Cruces and found out that the store has some very EXOTIC things in it, things I have never seen before. I wish I could describe all the things I saw, but everything was gluten free, organic, local farm grown, pesticide free….it was so crazy! It made me want to go home and throw everything out that wasn’t good for me and just go on some crazy shopping spree in the store. 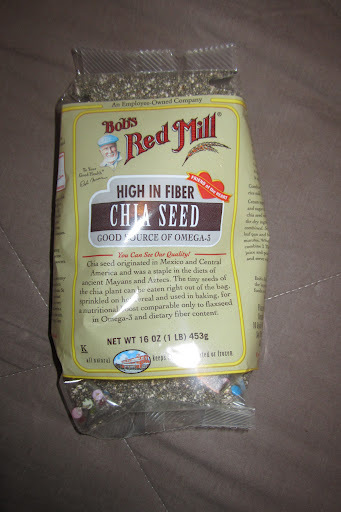 I was having a hard time finding the Chia seeds, but the friendly staff was very helpful. Anyone have a local market they like to go to? P.S. I put them in my oatmeal and they puffed up a little, but they don’t taste bad at all. The guy at the store said that i you put them in juice, they blow up into little gooey balls and you can eat them (kind of like boba..google it). This entry was posted in Food by thefasteryoupedal. Bookmark the permalink.